For some people, the location of yarn graffiti is everything. 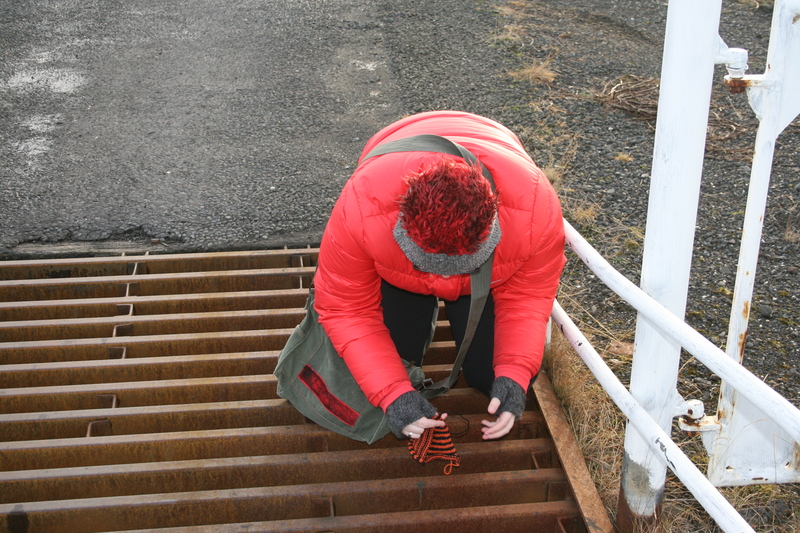 When I saw this “ristahlið” (yes, that’s Icelandic and I have no idea what it’s called in English so from now on, this is a sheep bump, courtesy of my husband) I knew it was a place for a yarnstorm. 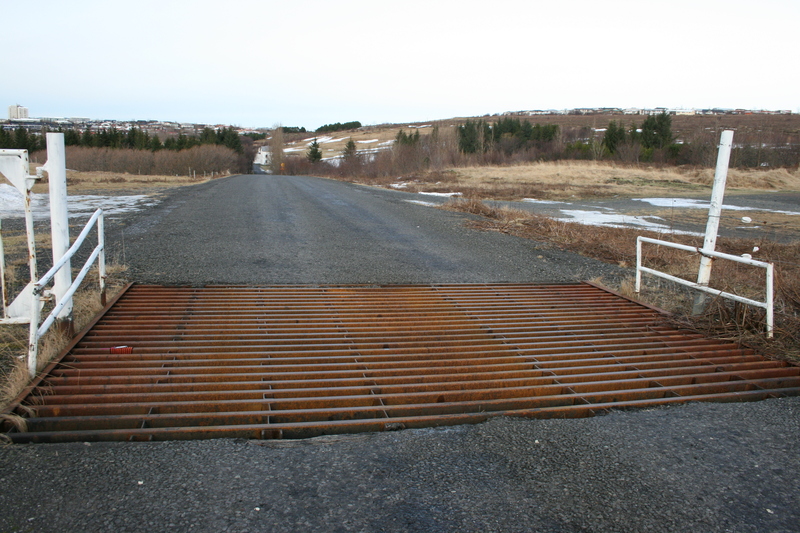 They’re called Cattle Grids in the UK. Not an easy place to yarnstorm! Well done. 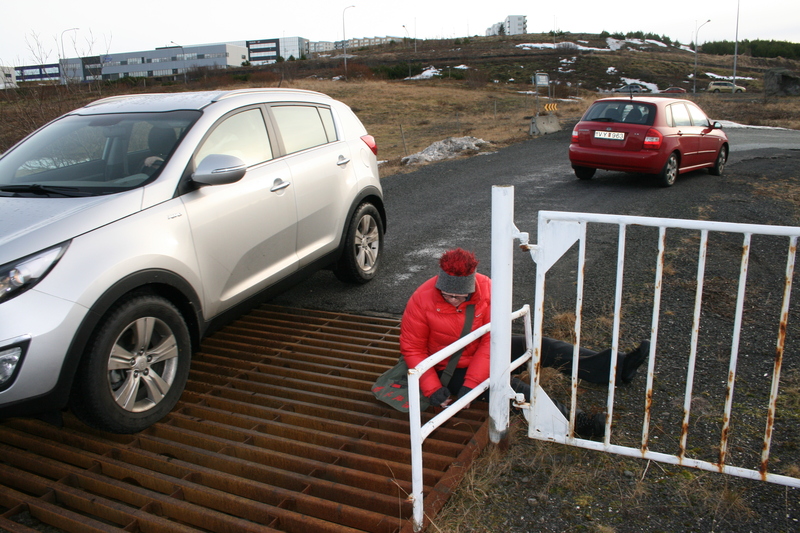 Ah… Cattle Grids makes sense :) Thank you!